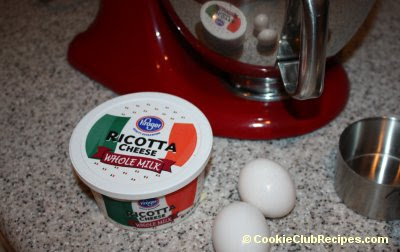 Italian in origin, these moist ricotta cookies bake up very soft, almost like a cake cookie or muffin top. 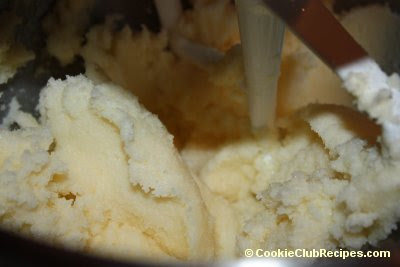 Francesca shared this recipe with our Cookie Club 10 years ago, in 2003. 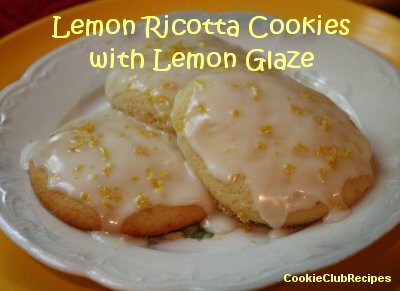 If you like lemon as much as we do, you can add fresh lemon juice to both the ricotta cookie dough and the glaze icing. Or, you can just add it to the glaze, as this recipe does. 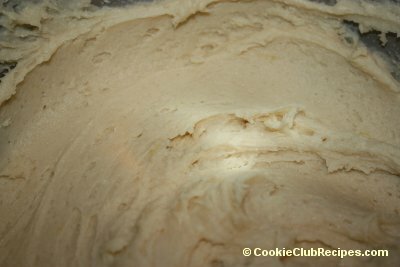 When I made them (see photos), I added lemon juice and zest, to both the dough and the icing, and even a little more zest to garnish on top. These cookies are so delicious, I hope you will try them soon! 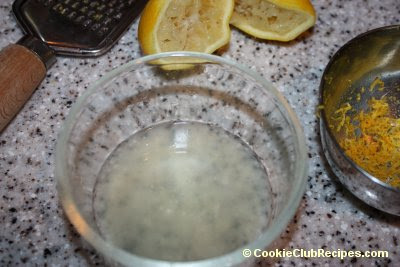 Editor's Note: I added lemon juice and zest from 2 lemons - abt 3 T. of juice. 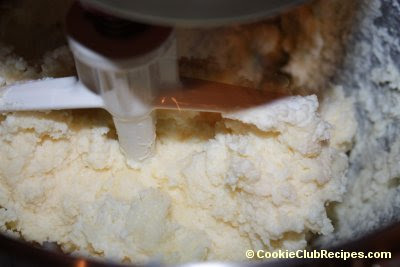 In mixer combine softened butter and sugar. Stir in eggs, ricotta, vanilla. 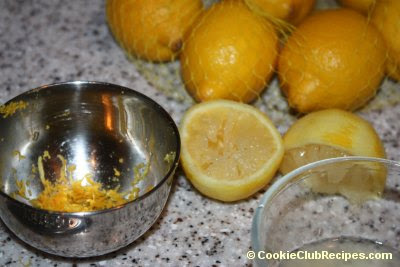 Add lemon juice and zest, if desired. 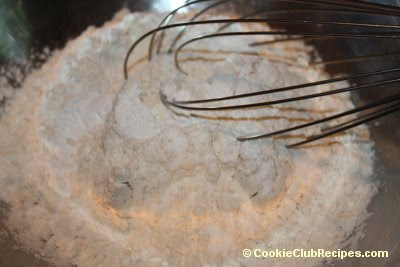 In a separate bowl stir together flour, baking soda, and baking powder. Slowly add dry ingredients to the wet ingredients and mix well. Texture should be cookie dough like. Chill for 15-30 minutes if needed. 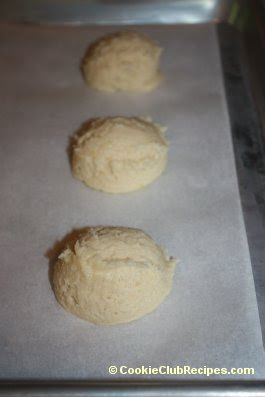 Drop cookies on baking sheet lined with parchment paper and bake for 15 minutes at 375 degrees. Remove from oven and allow cookies to cool completely on baking sheet. 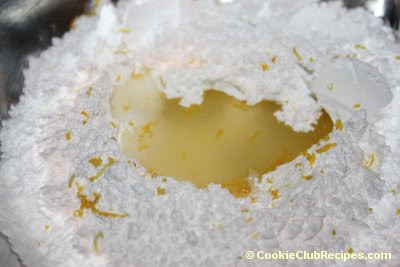 After they have cooled, drizzle or spread lemon glaze on top of each cookie and remove to serving plate. Editor's Note: I used 3 T. of lemon juice instead of milk. You could also use both, for a very thin glaze. Combine ingredients with a large spoon or whisk. Texture should be pasty. Drizzle or brush glaze over the top of cookies. The glaze will be a little wet at first but will harden as glazes generally do. 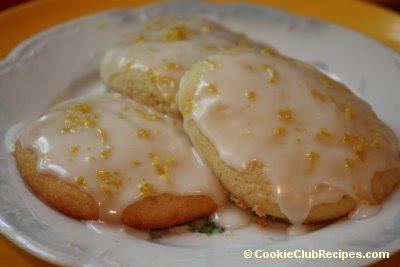 Garnish iced cookies with a small amount of lemon zest, if desired.